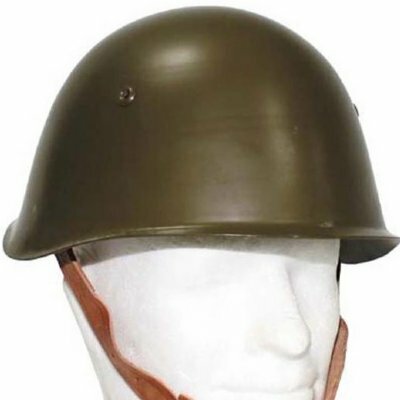 This is a Bulgarian M1972 Helmet. It is made from steel and is about one centimeter thick. It also has two small ventilation holes on the top left and right of the helmet. The helmet liner & chin straps are made from leather and are in good condition. It is painted OD, and may have some scuff marks and scratches from storage but is still in great condition.